Its very sad and really bad to loose our dear ones and friends. We need to be strong and should give our helping shoulder to lean on for those who lost their love. 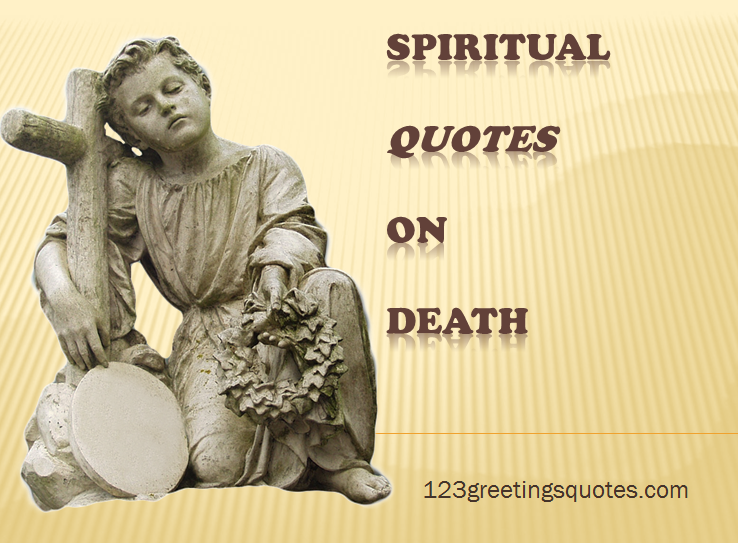 Spiritual Quotes on Death – To Console Friends Parents Couples. The Lord is nigh unto all them that call upon him,to all that call upon him in truth. two cherubs gazing upwards Lord, now lettest thy servant depart in peace, according to thy word. Take care that you do not despise one of these little ones; for, I tell you, in heaven their angels continually see the face of my Father in heaven. don’t see the whole staircase. So you have pain now; but I will see you again,and your hearts will rejoice, and no one will take your joy from you.